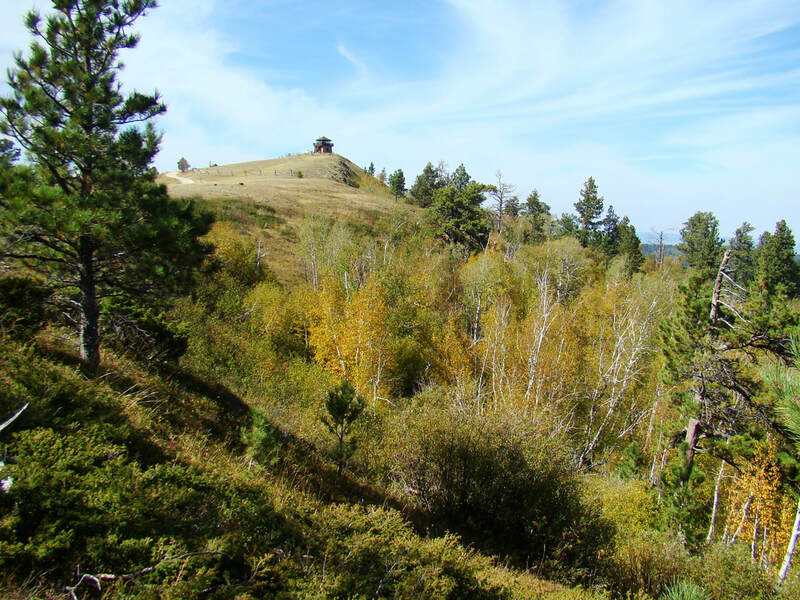 Cement Ridge is another one of those out-of-the way Black Hills peaks that do not attract much attention. But, it is Wyoming’s highest peak in the Black Hills. Cement Ridge is actually a long ridge, with the high point closer to the southern end of the ridge. 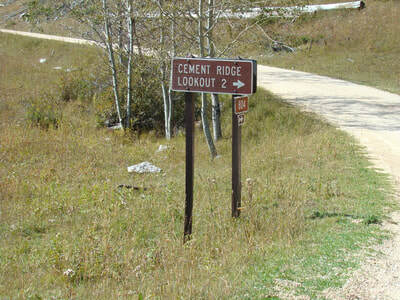 There are no official trails to the summit, but there are several roads on the mountain that make access rather easy. 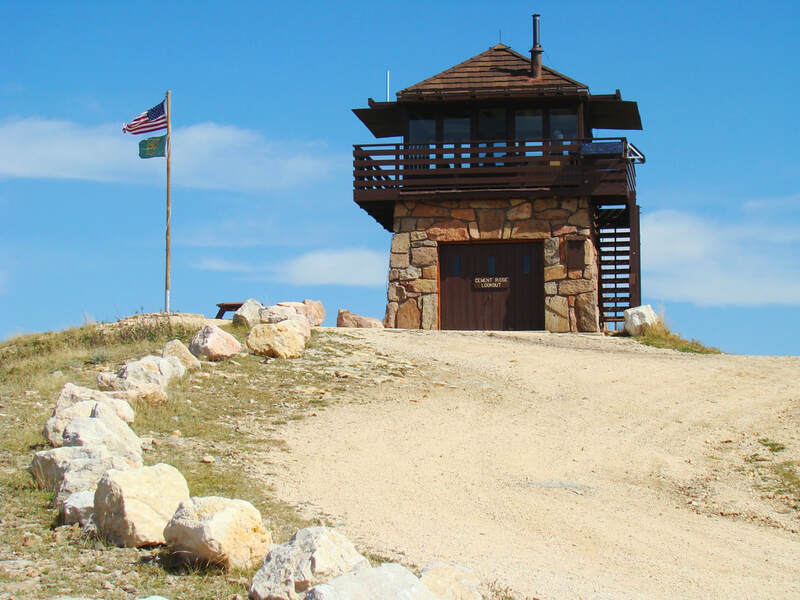 Most who visit the mountain go first to the old fire tower lookout on the summit ridge, where a geodetic marker is located. 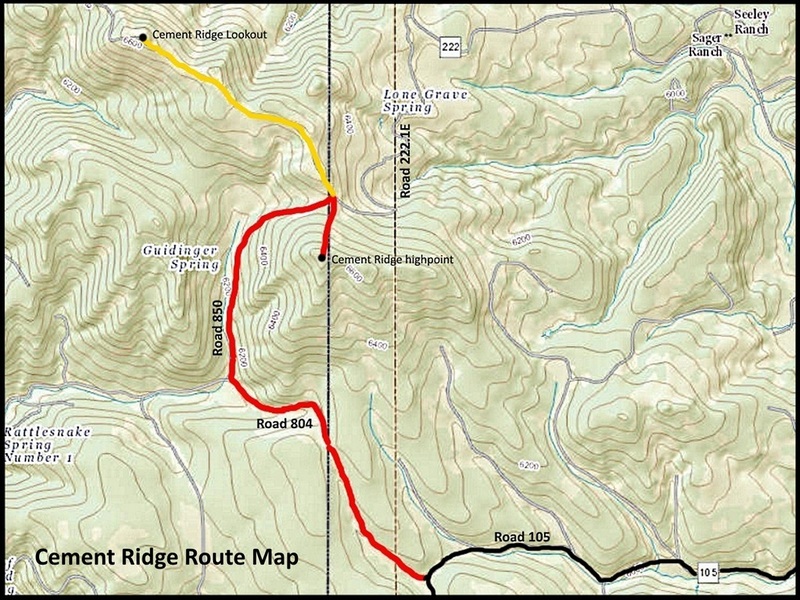 The altitude there is 6,623 feet, placing that just 51 feet lower than the actual summit, which is further southeast on the summit ridge, about .3-mile south of the junction of Cement Ridge Road and forest road 850. 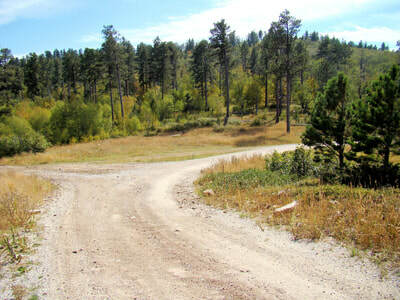 To get to the actual highpoint requires an off-trail hike from that road junction. 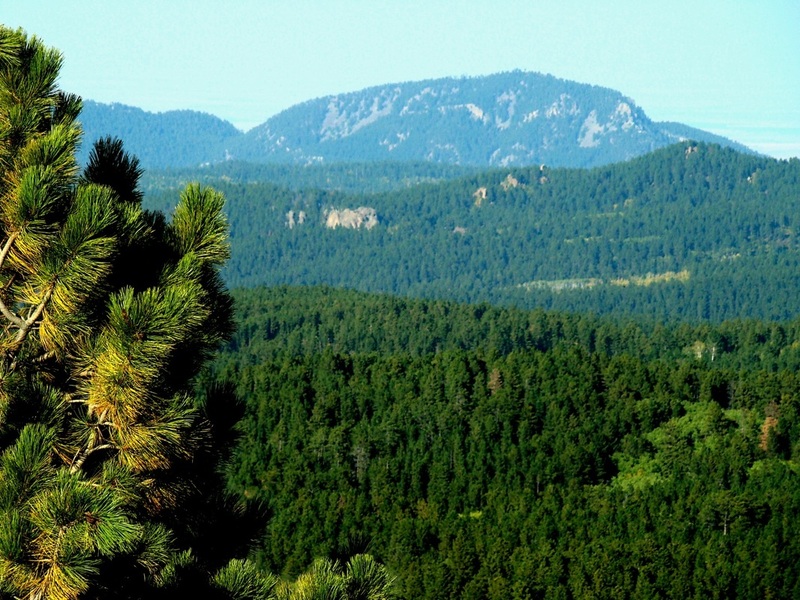 Views from the summit are pretty clear, with several Black Hills peaks particularly easy to identify, including Crow Peak, Inyan Kara, Terry Peak, Spearfish Peak and Custer Peak. 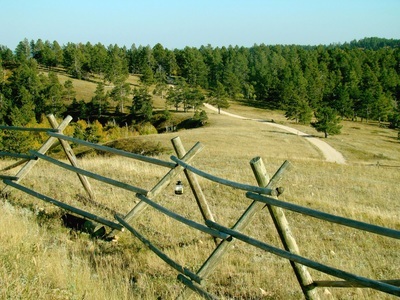 The views are also clear of Wagonwheel Canyon, Rattlesnake Canyon and the Black Hills Grand Canyon. There is a guide in the tower to help identify the peaks you see. As always, binoculars are very helpful. The Cement Ridge Fire Tower is listed in the National Historic Lookout Register. 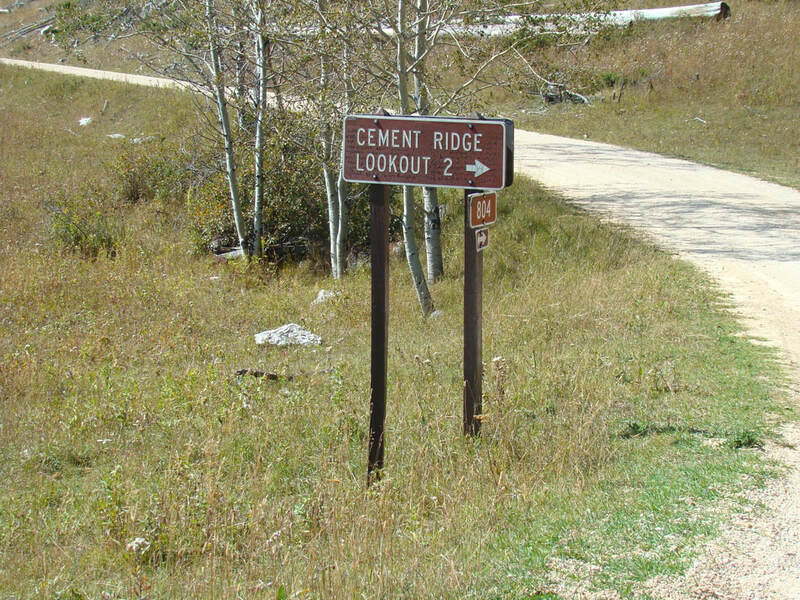 Cement Ridge is located in Crook County, Wyoming, one mile west of the South Dakota border in the Bearlodge Ranger District of the Black Hills National Forest. A good map of the area is a wise investment, as navigating without one can be risky. 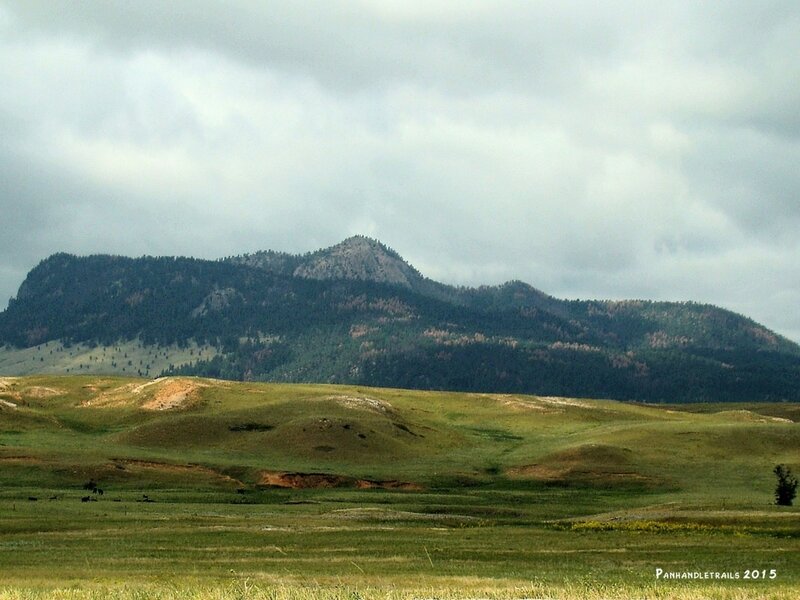 The mountain is on the list of Wyoming's 100 most remote peaks. It is quite an area to get lost in since the roads are minimally marked. The most direct route is from Spearfish, by taking road 134 south to the junction with road 105, then west until the junction with road 804. 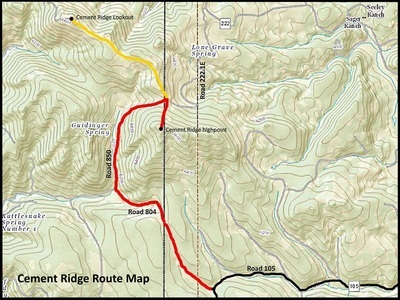 At 804, go north until you come to the junction with 850, where you will see a sign for the route to the summit. To hike to the summit and back is little less than 5 miles. Be aware that vehicles can use the road to reach the summit, and you may also encounter mountain bikers or horseback riders. There is a vault toilet at the summit ridge lookout. Please be aware that forest road numbers change when you cross the border between Wyoming and South Dakota. 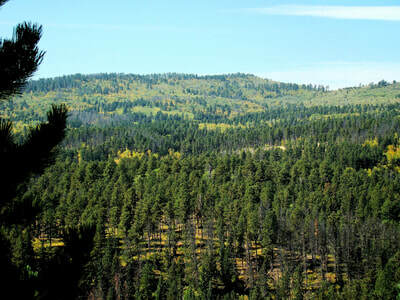 This would be another reason to make sure you have a good road map, like the free forest service road map for the area. The route map in the photos below may be of help to you. The true summit of Cement Ridge is in the upper right corner of this photo taken from the lookout. View north of Crow Peak, from the lookout.